The current study examined how economic pressure impacts parental positivity and positive parenting separately for mothers and fathers, as well as how positivity and parenting impact child social competence. This study included 207 mothers, fathers, and their first-born child from toddlerhood through the preschool years. 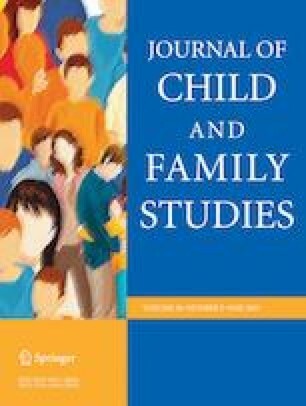 This study employed an Actor–Partner Interdependence Model which was developed to handle dyadic relationships to investigate the association between economic pressure, parental positivity, and positive parenting, separately for mother and father and the interdependent associations between them. Results showed that economic pressure when the child was age 2 (Time 1) was negatively associated with maternal and paternal positivity and father positive parenting when the child was 3-4 years old (Time 2). Maternal positivity was associated with paternal positivity and mother positive parenting was associated with father positive parenting. In addition, maternal positivity was associated with mother positive parenting while paternal positivity was not significantly related to father positive parenting at Time 2. Parental positivity and positive parenting at Time 2 were both associated with child social competence at age 5 (Time 3), even after controlling for child social competence at age 2 (Time 1). The current results suggest that both maternal and paternal positivity and positive parenting are important protective factors for young children’s social competence even under times of economic adversity. S.J. designed the research model and analyzed data and wrote the paper. T.K.N. designed the research model and contributed to the writing of the paper. This research is currently supported by a grant from the National Institute on Aging (AG043599). The content is solely the responsibility of the authors and does not necessarily represent the official views of the funding agencies. Support for earlier years of the study also came from multiple sources, including the Eunice Kennedy Shriver National Institute of Child Health and Human Development (HD064687), National Institute of Mental Health (MH00567, MH19734, MH43270, MH59355, MH62989, MH48165, MH051361), the National Institute on Drug Abuse (DA05347), the National Institute of Child Health and Human Development (HD027724, HD051746, HD047573), the Bureau of Maternal and Child Health (MCJ-109572), and the MacArthur Foundation Research Network on Successful Adolescent Development Among Youth in High-Risk Settings. The study has been approved by the Institutional Review Board at Iowa State University. Informed consent was obtained from all parent participants included in the study.